Lancaster MINI Milton Keynes is part of Jardine Motors Group, one of the UK's leading automotive retailers. Founded in 1969, Jardine Motors Group now represents more than 20 brands in over 70 locations across the UK. "Welcome to Lancaster MINI Milton Keynes. We are conveniently located in Buckinghamshire close to the M1 and A421. From the minute you visit our dealership, you will find a large range of New and Used MINIs displayed on both our forecourt and in our showroom. 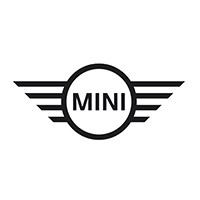 We pride ourselves in being experts in everything MINI, from new and used MINIs to aftersales products. Every member of our team is a MINI trained expert, and will be on hand to help you find your perfect MINI.\t\t\t"